Mike Bryant of Adaptrade software is the guest on episode of 13 of the Trader Tech Talk podcast. 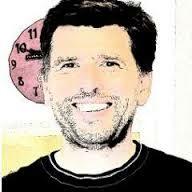 Mike is produces two very amazing software packages, Builder and Market Systems Analyzer. Builder actually creates trading systems that you can run right away, and Market System Analyzer is an amazing statistical tool that tells you a lot about your trading system’s performance. I’ve talked about Builder previously on the blog, so take a look at that as well. Trader Tech Talk 012: Did Ernie Chan’s System Survive the Flash Crash? In this episode of Trader Tech Talk, we welcome author, developer and hedge fund manager, Dr. Ernie Chan. 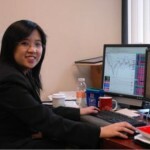 Dr. Chan is author of two excellent trading system development books, Algorithmic Trading and Quantitative Trading. Remember the Flash Crash of 2010, where the market dipped almost 1000 points in just a few minutes? Imagine if you were running an investment firm or a hedge fund during that time. What would you have done? Well, Dr. Chan was running a hedge fund during that time, and even more interesting is that he was running an automated trading system at the time! In this episode, you’ll find out what he did (and what he didn’t do) during those nail-biting minutes! I think you’ll learn a lot from Dr. Chan; show him your appreciation with a comment below, or by visiting his blog. Enjoy! Today trader and system developer Chris Davison is with us on the podcast. Chris is a lot of fun to listen to, and has some excellent advice for us as system developers. Chris has a number of well-known profitable trading systems to his name, and today he shares some of his insights into how to write the perfect system. I know you will enjoy this episode! I sure did. Let Chris know you enjoyed the episode by leaving a comment in the show notes here. I have a fantastic interview in store for you today! Today we have with us Dr. Howard Bandy. I’ve you’ve been reading my blog for any length of time, you know I am a huge fan of Dr. Bandy’s work. Dr. Bandy has written three very excellent trading system development books, and I am so honored that he was able to come on the show. Sam Savage, The Flaw of Averages. Why plans based on averages are often wrong. Daniel Kahneman, Thinking, Fast and Slow. Where we can and cannot trust our intuitions. Nate Silver, The Signal and the Noise. Why so many predictions fail. Michael Mauboussin, The Success Equation. Distinguishing between skill and luck. Leonard Mlodinow, The Drunkard’s Walk. How randomness rules our lives. John Haigh, Taking Chances. Using probability to help make decisions. Emanuel Derman, Models. Behaving. Badly. How quantitative financial models have been used, and misused. Christopher Chabris and Daniel Simons, The Invisible Gorilla. How our intuitions deceive us. I am sure you will really enjoy this episode!